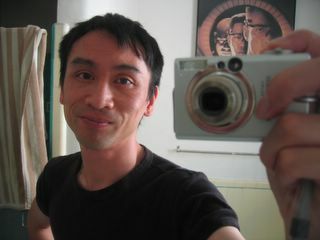 Today is a great day for art. First it's Fab 5 Freddy's show tonight in New York, but 5 hours ahead of East Coast time is Retna's London show. As part of Retna's "Hallelujah World Tour," he (and his backers) have moved his ultra-successful show from New York to London's The Old Dairy in Russell Square. This huge 9,500 sq. 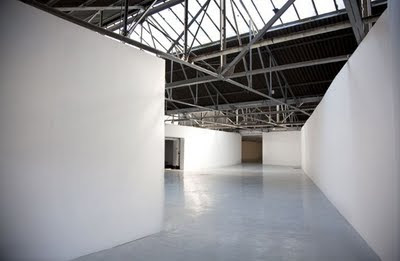 ft. venue is set in the Bloomsbury neighborhood which is better known for the British Museum and London University's School of Oriental and African Studies than graffiti art from the streets of Los Angeles. This exhibition is Retna's first solo show in the UK and possibly Europe opens tonight, Weds 8th June and runs through 27 June 2011. The video below shows you a bit of what you can expect..! 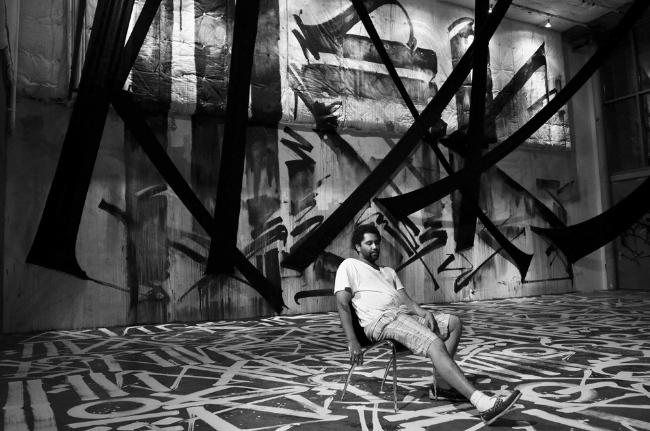 "Since making his debut in the mid-1990s, RETNA has participated in over 30 international exhibitions with countless works in the public realm. Yielding an unmistakable aesthetic that integrates appropriated contemporary photography, graffiti, traditional painting and a unique glyphic style, he has emerged as one of the most prolific street artists in the contemporary art world. 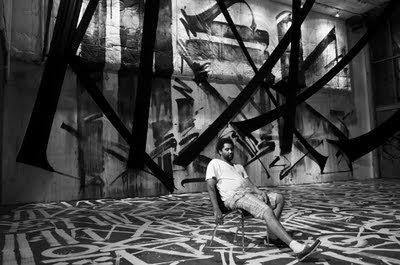 An integral fixture in the Los Angeles art scene since an early age, the transcendent nature of RETNA’s work has allowed him to seamlessly transverse from the unregulated urban landscape to institution galleries across the globe. Merging couture with street culture, the spiritual with the sensual, and fluidity with grit, his paintings provide an exceptional lense through which we view contemporary culture. Recent projects have included participation in the Museum of Contemporary Art, Los Angeles "Art In The Streets" exhibition curated by Jeffrey Deitch; Museum of Pasadena, California, “Street Cred: Graffiti Art from Concrete to Canvas”; Solo exhibition with Valmorbida in New York City; a solo exhibition, “Silver Lining”, during Art Basel Miami Beach as part of Primary Flight, the World’s Largest Street Level Mural Installation (2010); a solo exhibition, “Desaturated”, at New Image Art Gallery in Los Angeles (2010); a mural for the Margulies Collection at the Warehouse in Miami, FL (2009); and “Vox Humana”, a survey of legendary street artists by L.A. Art Machine at the Los Angeles Art Show (2010)."